Here's a new way to honor your favorite team! Shots taste great in our officially licensed NFL shot glasses with your favorite team logo imprinted on front. On the back of the heavy-duty glass, you’ll find plenty of room for a name and a proclamation of his devotion to the team. 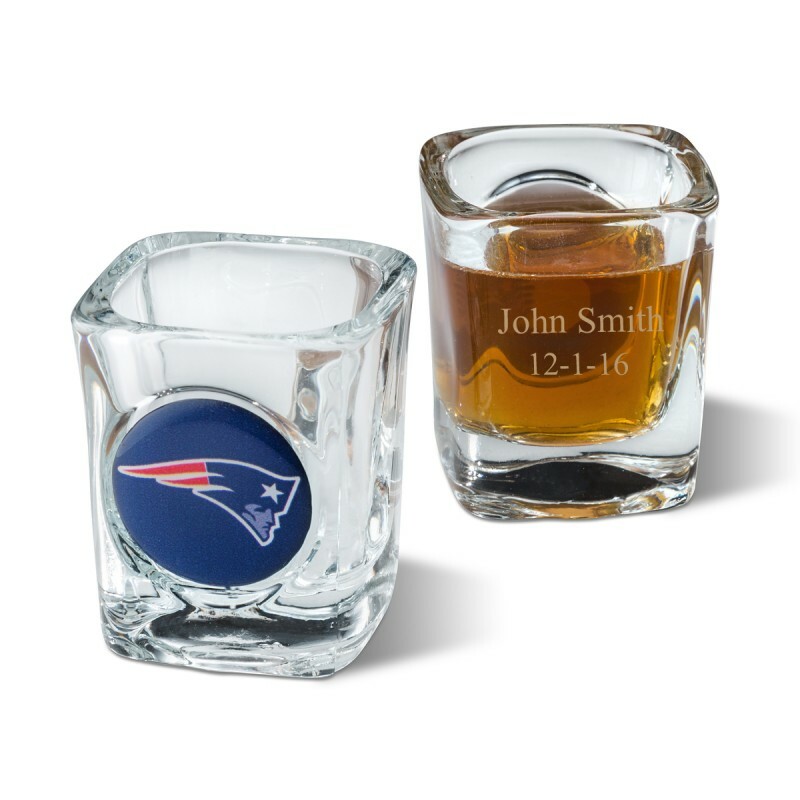 Give one to your groomsmen, purchase a set for your home bar, or present them as a housewarming gift for the newlyweds! All NFL team logos available.